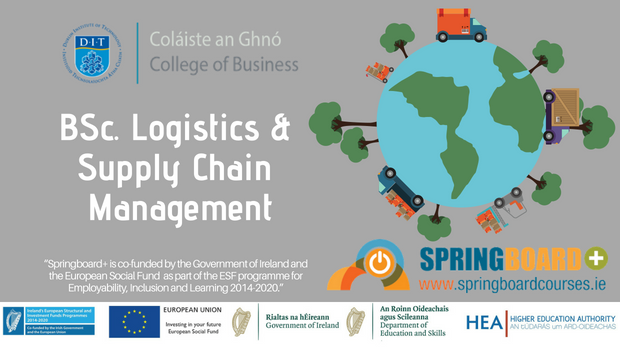 The DIT School of Management’s part-time one year BSc in Logistics and Supply Chain Management has been approved for Springboard+ funding. This allows a 90 percent discount on the normal €3,000 programme fee for eligible applicants. He is particularly delighted that following the assessment process by the SpringBoard+ Expert Panel, and in agreement with the Minister for Education and Skills, the part-time BSc Logistics and Supply Chain Management has been approved for funding. The Application Deadline is 31/07/2018.